As an Eastern hunter living in Alabama, hunting the West used to seem like an impossible undertaking: hunting in unfamiliar territory, living off my back at high altitude, and—if successful—packing an animal out of the backcountry. With experience and planning, I overcame these potential roadblocks and enjoyed success on my first backpack style Western hunt. I put this article series together for the hunter who desires to hunt out West and wants to be fully prepared for that first and subsequent trips. Part I will detail what I consider to be the best method for determining what gear will accompany you on that first hunt. We’ve all heard the cliché that nothing beats the real thing. 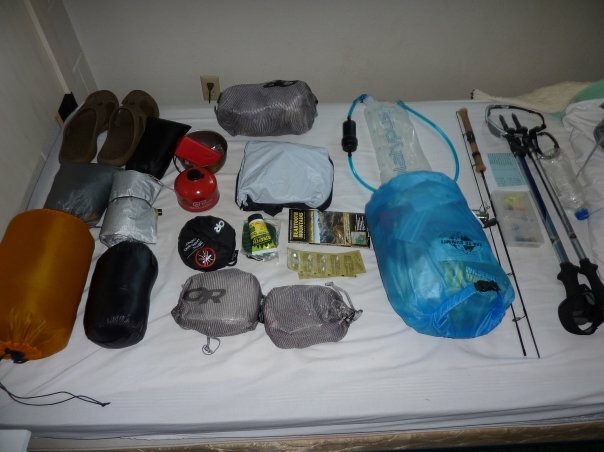 Without using your gear on backpacking trips prior to your western hunt, there is no way to know how it will perform. 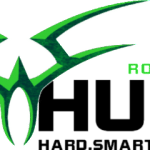 Online reviews can be helpful, and I encourage you to read Rokslide and research the forums and gear sections thoroughly, but firsthand experience with your gear is paramount. There are countless stories of hunters heading West with new gear that ultimately fails them when they need it most. The remedy? Go backpacking and test your gear! I’ve been backpacking for 11 years in a multitude of weather conditions, and that experience has allowed me to fine tune my gear and know what works for me. Even with my experience, I still learn new things on every trip that alter my gear decisions for the future. Experience with your gear is vital to a successful Western hunt. Any local area that allows backpacking will suffice for trial backpacking trips. If you can take multiple trips in multiple types of weather conditions, do so. If you have hunting partners that plan to go West with you, take advantage of that situation and use the trips to test multiple pieces of gear as well as how your partners handle backpacking. You can test multiple stoves, cook sets, sleep systems, packs, and various other gear all in one extended weekend trip. You’ll gain a wealth of information in very little time. You can also learn a great deal about your hunting partners and save yourself from the horror stories of hunts cut short due to partners that couldn’t handle being away from civilization. The bottom line is you need to get out there, use your gear, and test it for yourself. You need to consider the terrain and potential weather conditions in which you will be hunting when testing gear. A late season hunt in winter weather will dictate the use of a completely different gear set than an early season hunt. If you will be hunting in winter weather, do everything you can to spend time backpacking in similar conditions. You will find potential gear issues you failed to consider during mild weather trips. For instance: your water bladder tube freezing in a matter of seconds, your pad not having enough R- value for frozen ground, and the fuel source for your stove not working. These problems, and many others, will show themselves quickly. Find potential problems now, so they don’t cost you later. Shelters are of vital importance and should be tested extensively before taken West. Whatever shelter system you decide on, whether it be a tent, tipi, tarp, bivy or any combination of those, test it out and see how it performs. 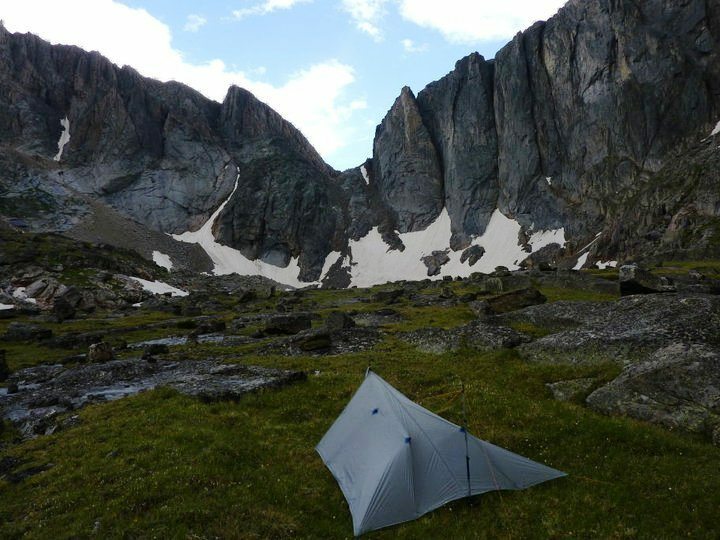 I used a tarp and bivy combination exclusively for two years before running into a microburst in the wilderness of Montana that turned my tarp into a wind sail and left me scrambling in the dark to restake my shelter. That experience didn’t end my tarp and bivy use, but it did teach me that I needed to use longer stakes, more guylines and a different pitch when above treeline with windy conditions. Test your shelter extensively. You’ll be counting on it to keep you comfortable and your gear dry and functioning throughout your trip. The last thing you want is a shelter that fails you while in the West. Footwear is extremely important and there are several options available. I’ve experimented with mountaineering boots, trail running shoes, and light hikers in my time; settling on light hiking shoes as my footwear for early season hunts. Mountaineering boots do not suit me as they are too hot and stiff. Trail running shoes often lack the necessary padding for the rocky trails of the West with heavy loads. 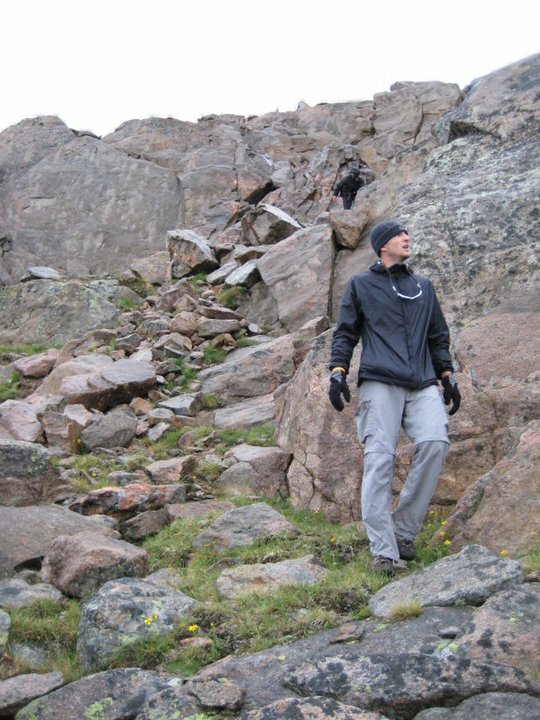 Light hikers however, have adequate padding and allow me to hike with 100+ pound loads pain free. During my backpacking trips, I’ve also learned that wet feet, while not enjoyable, do not cause my feet to become susceptible to blisters. As a result, a waterproof boot is not a priority for me unless I’ll be hiking during winter conditions. You’ll need to try various footwear for yourself to determine what works for you specifically, and is best suited to the conditions you’ll encounter. Testing your choice extensively with a heavy load on your back is imperative. Learning that your footwear isn’t adequate for packing meat while in the process is something you can avoid. 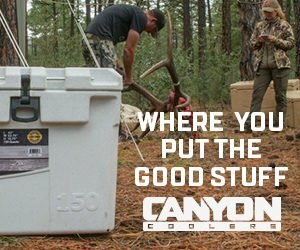 With heavy loads in mind, using the pack you intend to carry your meat out with while training before your hunt is crucial. Work up to heavy loads over an extended time period adding 5-10 pounds each week until you’ve reached a load you feel is the max you can handle. Evaluate how your pack feels with that load and how your body responds to it. Is the belt slipping off your hips? Are your shoulders screaming after an hour of hiking? Are hot spots forming on your hips or lumbar region? All of these things can be warning signs that the pack fit isn’t dialed in. Test your pack in multiple weather conditions as well; materials can change when wet and now is the time to learn of any potential issues. Ultimately you want to have confidence that your pack will not fail you when the time to carry meat arrives. Your sleep system is another critical item that requires extensive testing, as a lack of sleep will leave you vulnerable to mental lapses and fatigue. 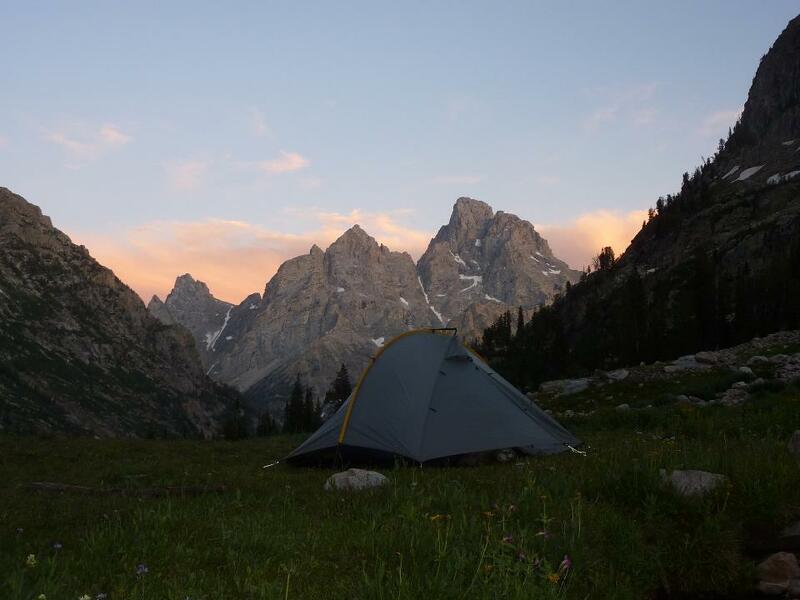 Through trial trips, you can determine what thickness of pad works for you and whether or not the sleeping bag you have is rated accurately and comfortable for how you sleep. There are a multitude of options available for backpacking, so try various things and find what works for you. The bottom line is to figure out what allows you to sleep well, it’s vital to your success in the west. 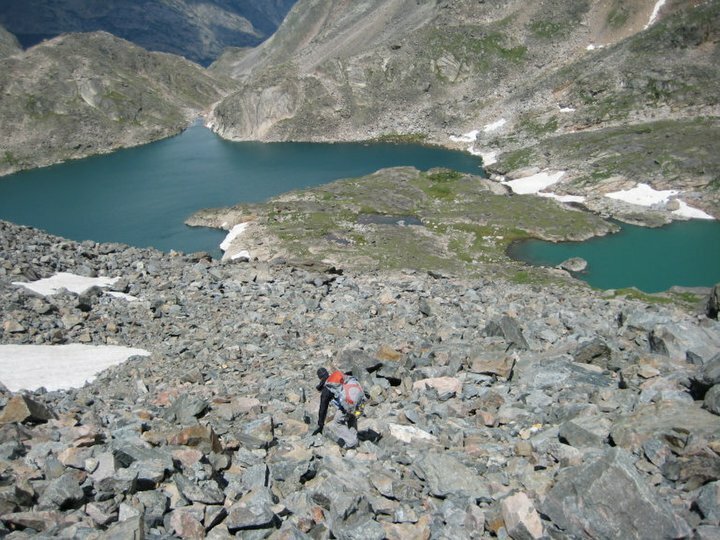 One of the greatest benefits from trial backpacking trips is learning what you do not need. After every trip, empty your pack contents onto a table and carefully go through each item. Did you really need that hatchet/flashlight/camp chair you took? Could you have gotten away with a multitool/headlamp/thin pad and saved yourself valuable space and weight? You can use this same evaluation process with your food. How much food did you eat? What was your appetite like during the trip? Were there certain foods that caused you problems or you just couldn’t choke down? Keep notes of this post-hike evaluation process. It will help you eliminate unnecessary gear and dial in your food, saving you weight off your back, space in your pack, and allowing you to provide your body with the energy it will require. The last and potentially most important aspect of backpacking trips can be learning how you and your partners react to adversity in uncomfortable situations. If you’ll be hunting alone, it would be wise to take a trip for an extended weekend without a partner to determine how it affects you mentally. You may realize that you need a partner, or you may determine that you love the solitude. Either way, it’s best to figure this out now, rather than the first night out after you’ve driven 20+ hours to your hunting destination. Successfully hunting in the West is not a walk in the park. Follow the guidelines above and you’ll have gear you trust, allowing you to maximize your time hunting while in the mountains. The intent of this series is to shorten your learning curve and increase your odds when that trip you’ve dreamed about for years is right in front of you. You can discuss this article or ask the author questions here.